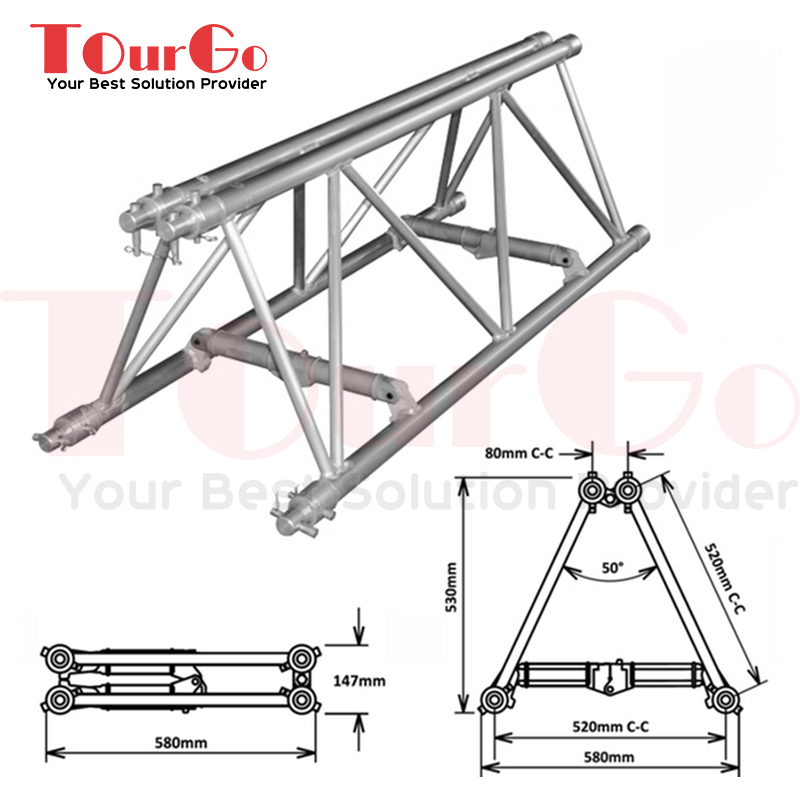 The folding Truss is designed as heavy-duty system for use in the big and large project at outside. It is the ideal system for structures with longer spans. PS: The other size can be customsized !